Alan Rusbridger, editor in chief of the Guardian, did one of those AMA (ask-me-anything) on Reddit yesterday. As always, it's a delightful form of questioning. Unlike most interviews, which are either agreed on in advance, or focusing on a certain editorial angle, Reddit questions are whatever people have on their minds at that moment. Business question: The news business is notorious for not making money. Do these big, global scoops have any noticeable effect on circulation or any positive business impact? Our are they part of the civic duty element of news reporting, to be investigated no matter how much they cost in man hours, legal fees, and so on? Or, put another way: what do the accountants make of these big investigations? Complicated answer: huge readership on mobile and website. Hasn't made much impact on print sales. So, no direct revenues. It has also been very expensive: it's involved a considerable number of reporters, several lawyers, a great deal of cost in travel/hotels etc etc. Happily, the Guardian has been owned by a family Trust since the 1930s. That means that the main imperative for what we do is journalistic. The business side of the operation completely support this kind of editorial endeavour because they understand that's the mission. Having said that, we do have to make money. And this kind of reporting does - hopefully - reinforce a perception of the Guardian as a paper that still does proper journalism. And that, in the end, builds a readership and a reputation. And that's being reflected in our digital revenues (grew last year 28.9% to ~£55.9m). So, in the end, good journalism = good business. That's the theory, anyway! As we all know, the Guardian, while being a great newspaper with a staggering 78.3 million monthly visitors, is losing money every day. Things are getting better. In 2011 (for the first time), the loss in print revenue was made up by the increase digital revenue (although with an added huge costs associated with the change). In 2012, as Alan wrote, performed well digitally, but the overall revenue only increased to ~£196.3m from ~£194.4m in the year before. In other words, they only increased revenue by 1.9 million, and, at the same time, Guardian Media lost ~£53.5 million in 2012. Huge readership on mobile and website. Hasn't made much impact on print sales. So, no direct revenues. It has also been very expensive. In other words: Free digital traffic is mostly useless. I think it's wonderful that the Guardian is at least getting better. But they are already one of the most visited websites in the world, with one of the highest levels of reputation. To break even, they will have to double that without any increase in cost. 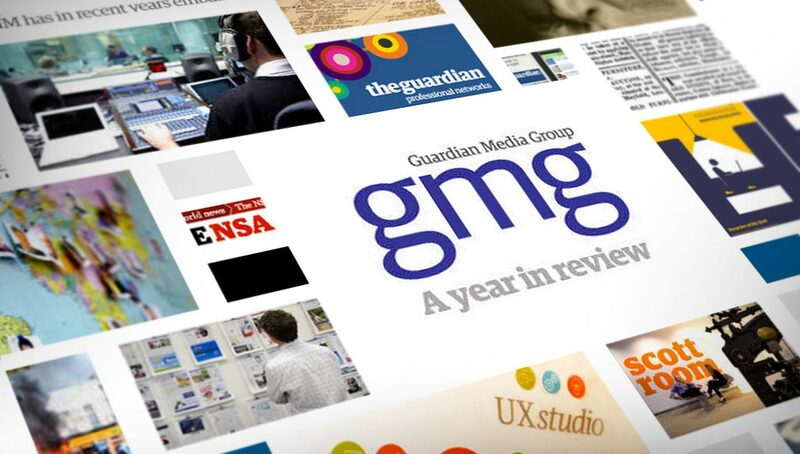 Can The Guardian stay open without a paywall? I want to support the paper but don't want to buy the dead tree edition. You're providing a public service we really can't afford to see cut. We believe so, yes. We have a detailed business plan and some extremely talented commercial colleagues - and so far we're beating our own plan. The fascinating thing about the internet is that it's basically divided up into two models. The short head and the long tail. The short head is hugely profitable because you are the best. And, in being the best, people are more than willing to pay for your products ... just look at Apple. The long tail is also hugely profitable because your sheer size makes up for the lack of revenue per person. Google, for instance, is doing incredibly as a platform for the entire world. We call these vertical and horizontal businesses. The problem is when you try to do both at the same time. The short head demands that you focus (which brings up the value) while the long tail means that you spread yourself thin for the sake of scale. With services and networks, this is a no brainer because the scale easily exceed the cost, but that's because they merely provide the platform for others to use. The Guardian is trying to create a global news platform for their readers, but keeping with their editorial focus of writing all the stories themselves. That is hideously expensive to do in the long tail. And more to the point, the more you scale, the less relevant you become for the individual. Meaning as they scale, their limited staff would have to focus more and more on global generalized stories. Stories that might be very good and create a lot of traffic, but doesn't make the newspaper itself worth paying for because it has almost no impact on the individual. The way to fix this is with individual targeting. But in order for that to work on a global scale, you need a serious amount of focused and targeted stories to choose from. That is simply not something you can do with a limited staff. Of course, the Guardian is one of the few newspapers who may actually be able to build enough scale to pull this off (with their global appeal). Unlike, for instance, a Swedish newspaper who are geographically limited to only the 10 million people who can speak Swedish.